Fevzi Turkalp, the Gadget Detective, joins Howard Bentham on BBC Radio Oxford to bring the latest from the world of tech. This week; the NHS is planning to offer GP appointments over smartphone, but is this really a good idea for patients? Plus the BBC has produced a play, The Inspection Chamber, which interacts with your Alexa enabled devices to allow you to influence how the story unfolds. 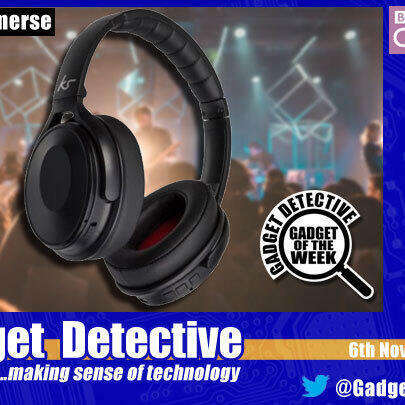 The Gadget of the Week is the KitSound Immerse wireless headset. Offering bluetooth connectivity, along with a wired ability, these over the ear headphones have built-in active noise cancelling. With a 12 hour battery time, a carry pouch and offering great quality sound for the money these are well worth considering. Scoring 4 out of 5, listen in for more information!